For years, skateboarding thrived in the shadows. It was a sport defined by alleyways and scraped knees pioneered by punks and self-described weirdos. Before the X-Games and multimillion-dollar sponsorship deals, skateboarding was a secret ritual shared between outcasts. Together, outside of popular culture's watching eye, kids practiced kickflips for hours. They pushed one another to learn tricks, celebrated successful attempts, and laughed when their friends' faces hit the pavement. Skateboarding's changed a lot since then. It's grown up. What was once the gangly, easily-bullied cousin of traditional team sports has become a staple of youth culture. It's on television, now, during prime time, attracting entire generations to waste days rolling around. No matter what, skateboarding's allure lies in its simplicity. It might just be a piece of wood, four wheels, and two pieces of metal, but when you're riding one anything seems possible. And that's where Session comes in. Following in the footsteps of Tony Hawk's Pro Skater and EA's Skate series, the independently developed skateboarding game aims to capture the sport in its purest form. There are no high scores or outside influences. 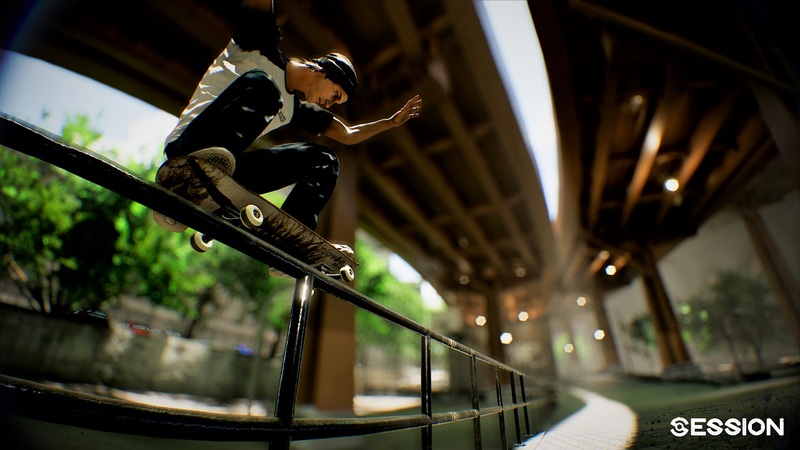 According to developer Creā-ture Studios, Session aspires to nothing more than to be the closest possible version of skateboarding ever seen in a video game. "I started skateboarding when I was eight years old, and I never stopped," said Marc-Andre Houde. Houde is one-half of Creā-ture Studios and the creative force behind Session's development. "Though I was never good enough to be a pro, I've always thought the beauty of skateboarding is that you don't have to be a professional to be passionate about it." Passion, it seems, is the driving force behind Session. Houde, along with coder Vince Da Silva, has worked on the game for two years. As Creā-ture Studios, the duo has chased skateboarding perfection, iterating on designs and scrapping entire projects for the sake of creating something they're proud of. Now, as Session's Kickstarter campaign launches, they hope their work speaks to an audience eager to fall in love with a skateboarding game all over again. "We've had this concept for a while," Houde said, "but the biggest issue was always the controls." 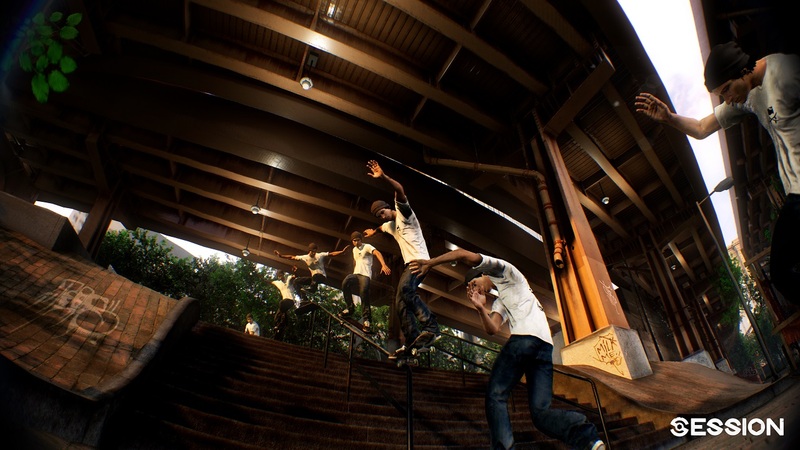 Session's control scheme bears a passing resemblance to Skate's flick-based analog stick system, but Creā-ture believes it has taken digital skateboarding to the next level. Instead of using one thumbstick to control your avatar's tricks, Session requires players to shift their weight with a controller's shoulder buttons and move the two analog sticks independently of one another. To do a kickflip, for example, players must pull back on the right analog stick to build "pop" before moving the other stick to the left. Compared to the directional inputs seen in Pro Skater games or even Skate's single-swipe structure, it's an extra step, but one that makes sense in the context of real skateboarding. "When you skate, it's usually about footwork. It's not just the body that moves. Everything's happening at your feet." Houde said this revelation, simple as it may seem, was a breakthrough moment when it came to designing Session. By using both analog sticks and shoulder buttons, Creā-ture Studios could emulate the minute movements and subtle tweaks that make up each skateboarding trick. "The back foot's always doing one thing," he said, "it's either going to pop or scoop. While the front foot just flicks. The only thing that really changes is the angle." Session's idiosyncratic attention to detail goes a long way toward recreating the feeling of learning a new trick. There's a sense of mastery that comes from working through the game's move list and finally landing a difficult combo. According to Houde -- and corroborated by anyone who spent months learning how to 360 flip -- the process of building up to a new move is a big part of what makes skateboarding so special. "I watch a lot of [skate] videos," Houde said, "and it's not always the most technical or complex combination that sticks with you." Session is similar to that feeling, where even a basic grind can feel monumental because of the effort it took to land. In the weeks leading up to Session's Kickstarter, Creā-ture Studios released a prototype demo that introduces the game's concept and control scheme to players. It's a proof-of-concept meant to introduce potential backers to the game's unique controls. The demo also allowed the developers to see their distillation of skateboarding click for players live. "I saw a streamer play for thirty minutes, just working on one trick," Houde recalls. "He just kept going, and at first I was worried, thinking 'is he going to stick with it? Will he get bored? Mad?' But surprisingly, he finally lands it after half-an-hour, and he was super excited. He was screaming. And that's skateboarding to me." Session is undeniably a vision of skateboarding. Houde is open about the game's steep learning curve. According to him, the lack of scoring system and constant upgrades distills the game into its own kind of feedback loop. "You don't get a free shirt or new power for landing a trick," he muses, "you did it the way you wanted to, it looked good, and that's all that matters." Houde's desire for an unabashedly honest skateboarding game bleeds into Session's Kickstarter campaign. According to the developers, it was essential to be as upfront about money as possible. "People have asked for this Kickstarter for a while," Houde said. "We wanted to make sure that we had something to share first. It's why we put the demo out there. But to us, [Kickstarter] isn't this big thing where we're going to ask for tons of money. We want to be respectful. The emphasis [is to improve] Session's early access." Through crowdfunding, Creā-ture Studios hope to foster a community of players invested in helping Session reach its full potential. One way or another, Houde and Da Silva will continue their work on Session, but see Kickstarter as a way to bring their wildest skating dreams to life. "We always wanted to make sure the game would happen before going to Kickstarter," Houde explained, "but we were worried it might be a barebones version of what Session could become. That's why we've decided to go to Kickstarter." 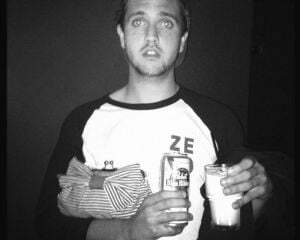 The two-man team views their crowdfunding campaign as a way for fans of skateboarding to get involved in the development and help shape Session's future. In addition to just funding the game, the duo has implemented stretch goals that focus on the communal aspect of skateboarding. Filmer Mode, for example, is one of their favorite planned features. According to Houde, players would be able to join their friends online, film their tricks live, edit, and upload the clips in real time, not unlike how real skaters and filmers operate in real life. Asking players to step away from their board and film a friend might sound like a far cry from actual skating, but to Houde, it's a meaningful recreation of a skateboarder's right of passage. "To be able to experience a [skate] session with friends over the weekend, making movies and filming lines is just great," he said. What Session looks like in the future is largely up to Kickstarter backers. Da Silva and Houde are keen on starting small and making sure the game is as polished as possible. To do so, they are interested in engaging with players every step of the way. Much like skateboarders pushing their pals to innovate and learn new tricks, the duo believes that feedback is the best way to improve. Their plan, Houde tells me, is to build up from a hub world, adding more skateable objects as funding allows for. "The best thing is just having a session," Houde said. "With friends or by yourself, it's all about finding a spot that inspires you and busting out a few bangers." His words ring true today but speak to the entire history of skateboarding. Be it digitally in Session or under the lights behind a convenience store; skating is an exploration in having fun.